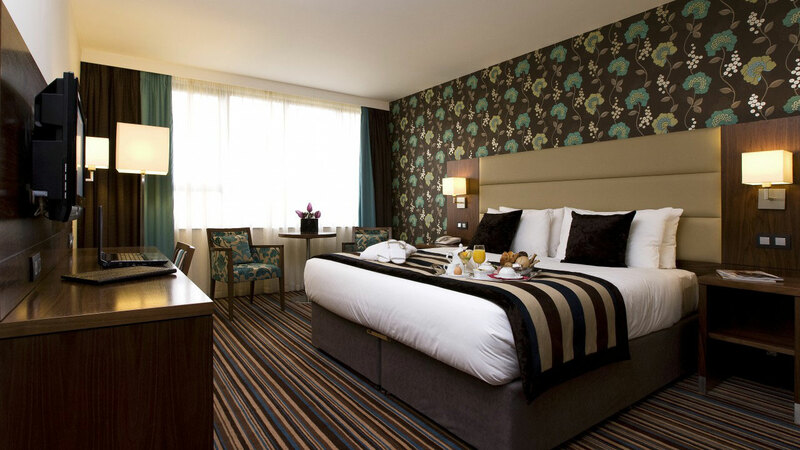 This stylish hotel is located in the heart of the city, across from the green urban park. 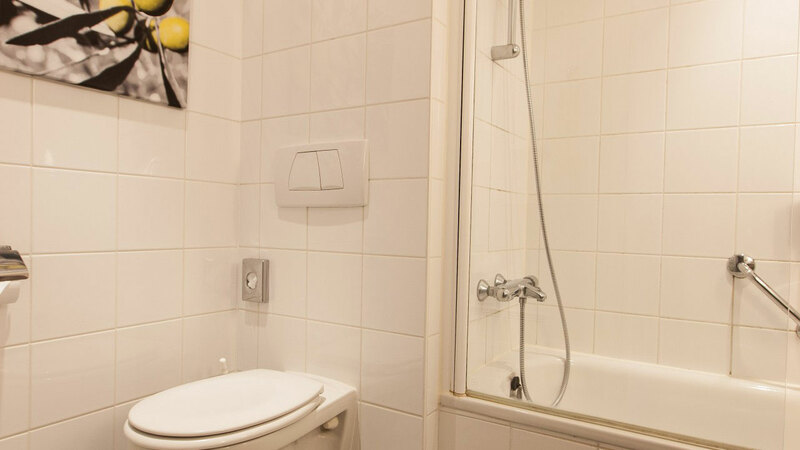 Just a 5-minute walk away from the shopping streets of Keyserlei and Meir, the main train station and the diamond district. 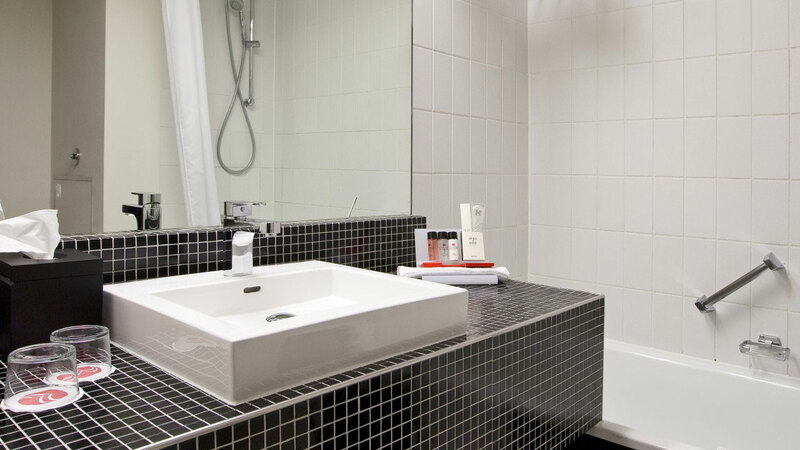 The standard guest rooms may not be very spacious, but all rooms are redecorated recently in the trendy style with a luxurious bed (at least 1.80 in width) and a relaxing bath. 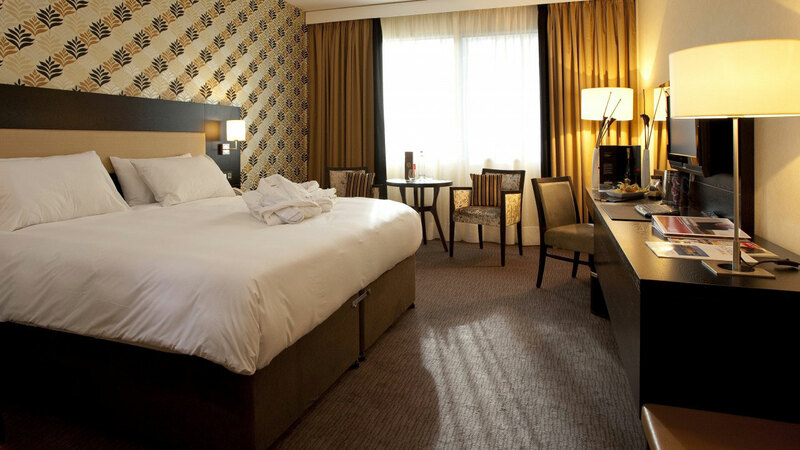 The deluxe rooms are large with a panoramic view over the park. 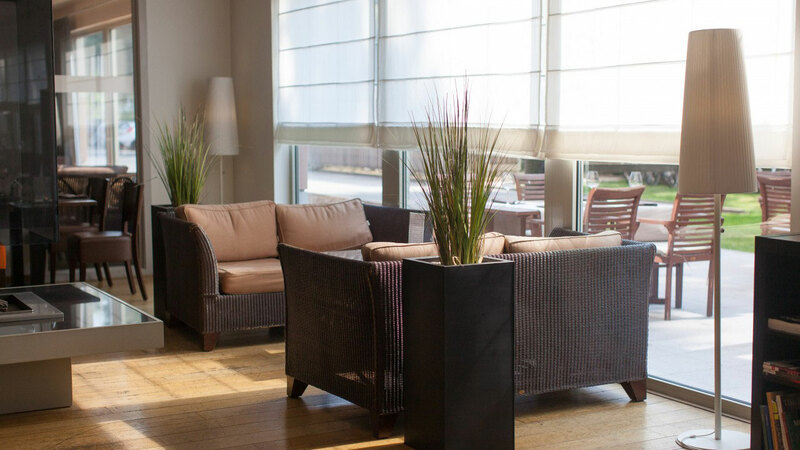 The lounge area is an intimate and informal place for having an aperitif. 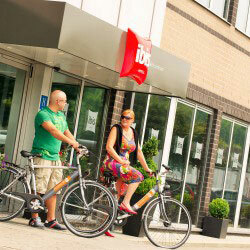 Located near the marina of Antwerp in the northern part of the city. 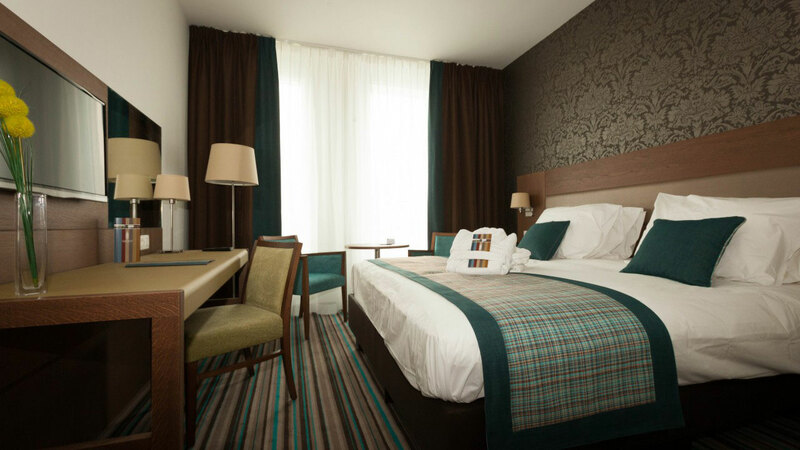 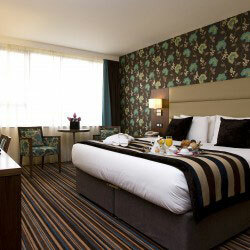 The grand room is the central part of the hotel, with a reading corner, large screen TV and linked with the bar. 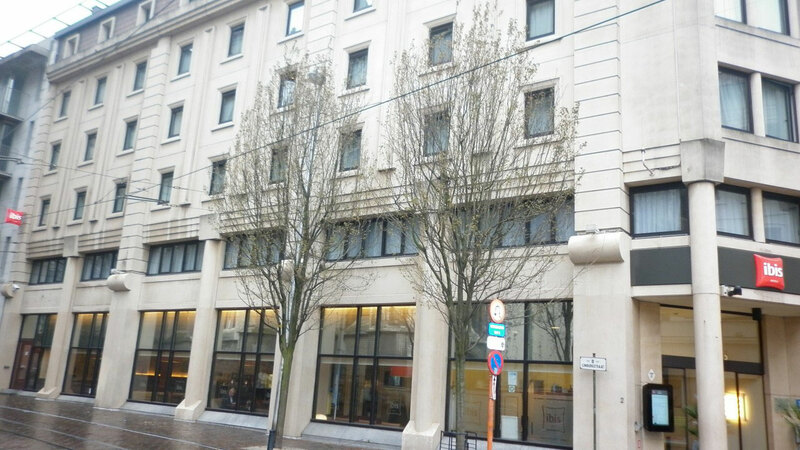 There is a private underground parking. 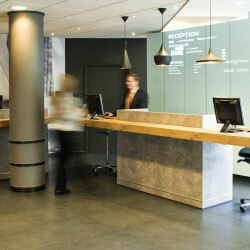 All 140 rooms have workspace, TV, bathrooms and phone. 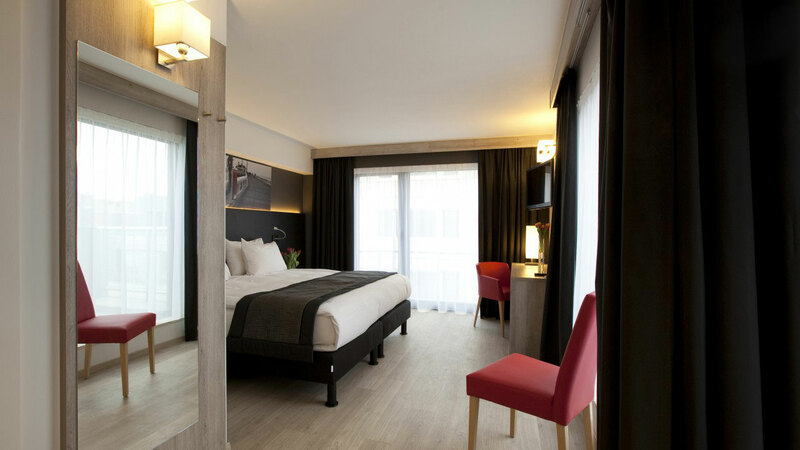 Just outside the city center and near the exhibition center of Antwerp, you will find the stylish and sophisticated accommodation of Ramada Plaza Antwerp, surrounded by gardens. 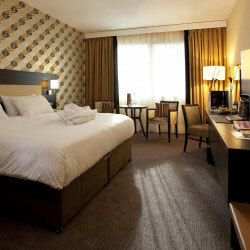 The spacious rooms are tastefully decorated and offer a calm and relaxed atmosphere. 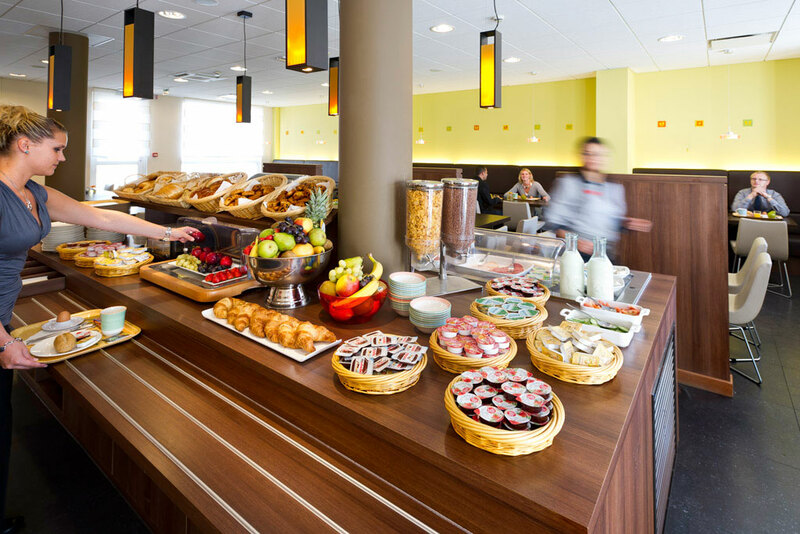 Start your day with a delicious breakfast and then go get the car at the hotel’s underground parking and benefit from excellent transport links to major highways. 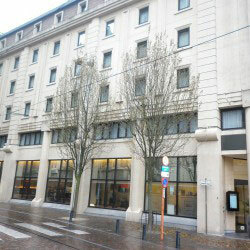 There is a tram stop right outside the hotel, so you can access the trendy Antwerp South, in just 5 minutes. 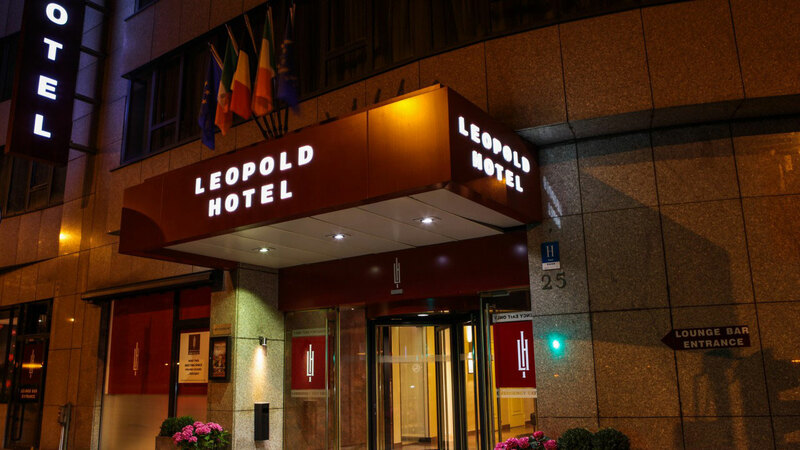 You can also go to the historic city center in just 10 minutes. 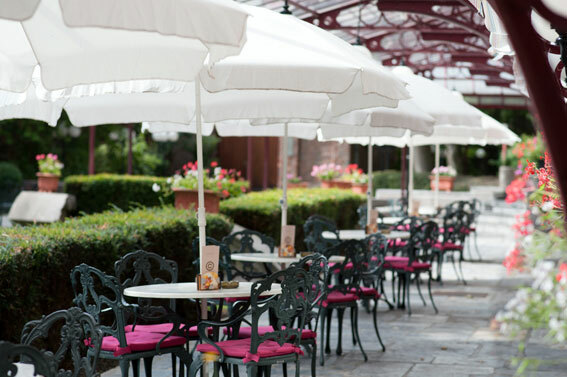 When time allows, the hotel’s terrace is a great place to grab a drink and admire the beautiful garden. 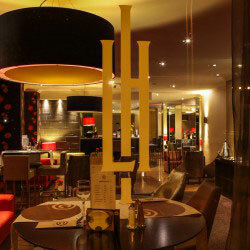 Try restaurant’s Hugo, where your dinner is carefully prepared, and enjoy the beautiful views of the park Hertoghe. 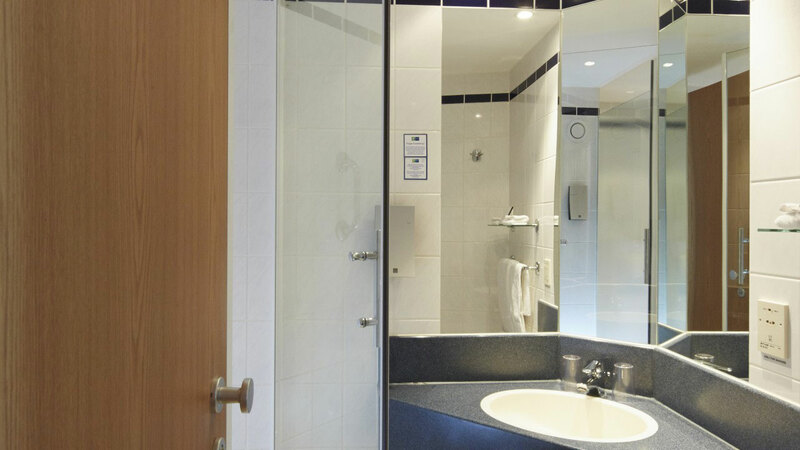 You can do a workout in the gym or relax in the sauna for free. 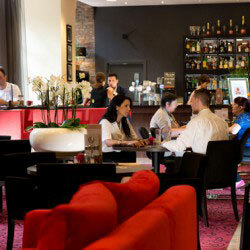 The Gozo bar is a nice place to taste typical Belgian beer. 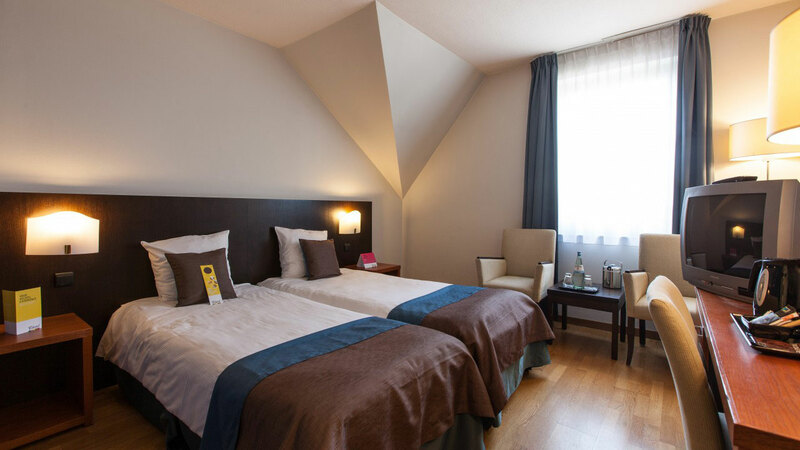 Hotel De’Medici is situated along one of the most beautiful canals of Bruges and at a short distance from the Grand Place, the various Museums and restaurants in town. 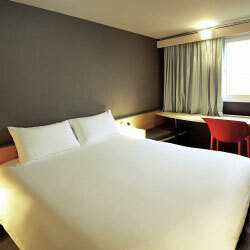 The hotel has easy access and has a Japanese restaurant, meeting rooms, 71 air-conditioned rooms and 8 junior suites. 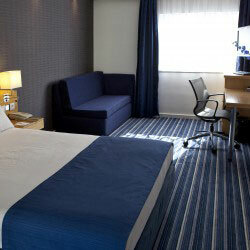 All rooms have TV Radio, Airco, minibar, safe and trouser press and bathroom with hairdryer. 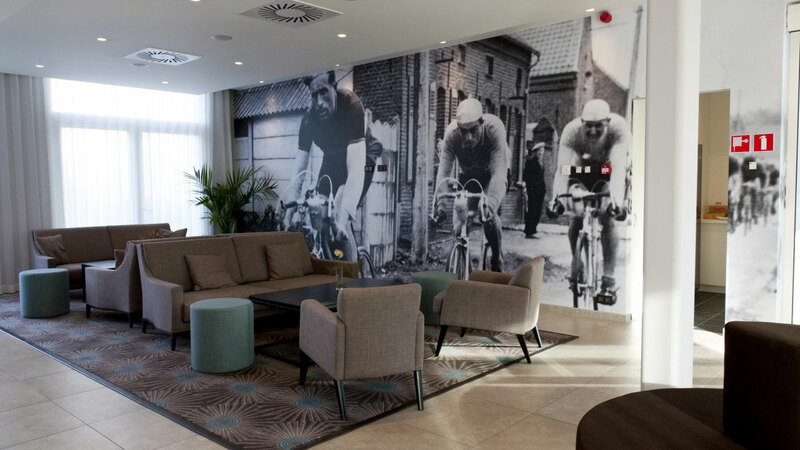 The Velotel Bruges is located just outside downtown, in the midst of a new green park. 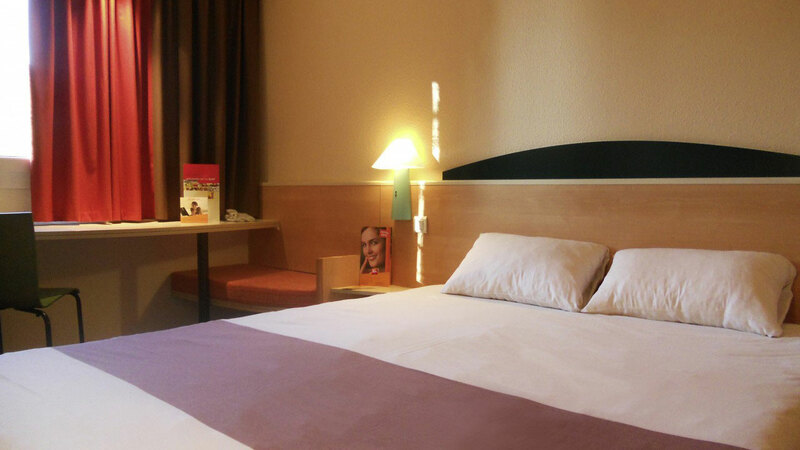 The hotel is 5 minutes by bus to reach the historic center. 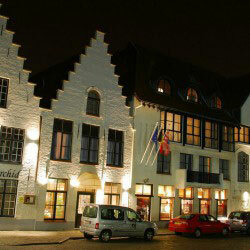 The “Grote Markt” is at a distance of 2 km (a half hour walk). 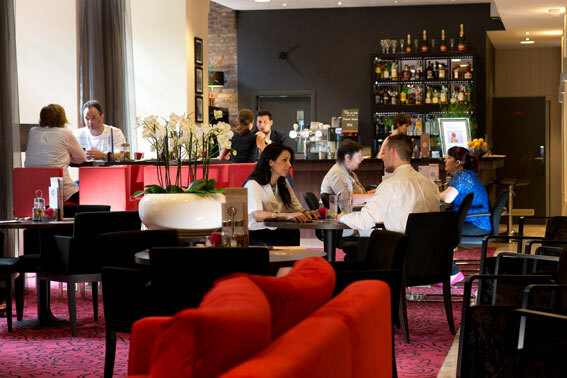 The hotel has a restaurant annex bar “Ter Poele”. 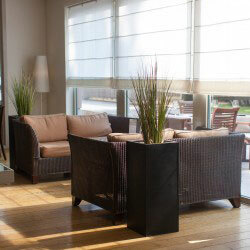 During the summer, a terrace is available and a Sauna and Fitness Room. 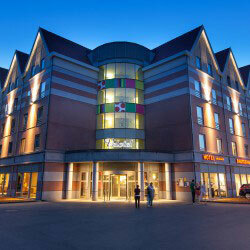 The hotel is located in the heart of the historical city, next to the Cathedral of St. Baafs and the Belfry. 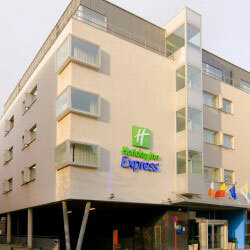 All interesting place are within walking distance of hotel. 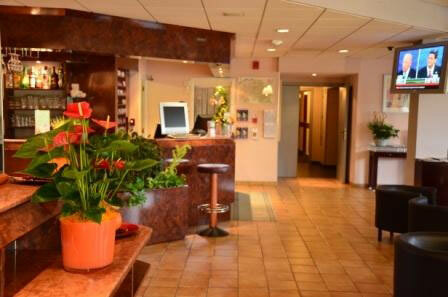 There is a bar, reception 24/24, a restaurant for continental breakfast. 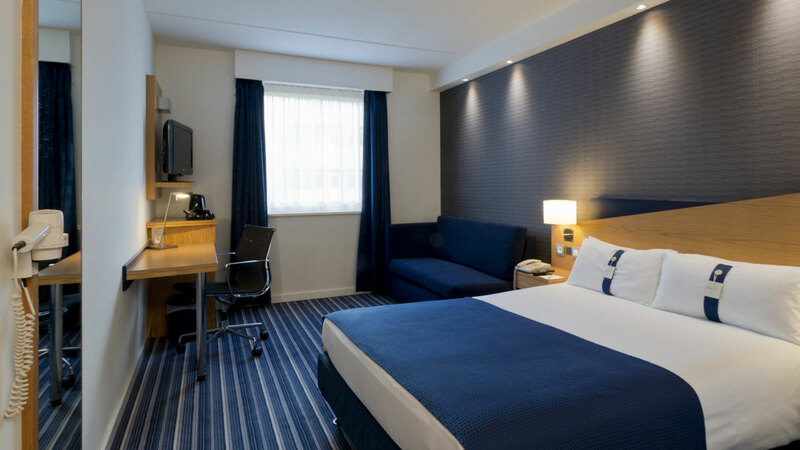 The rooms are up to the latest standards of the hotel chain, all rooms have modern equipment, bath and shower, telephone and television. 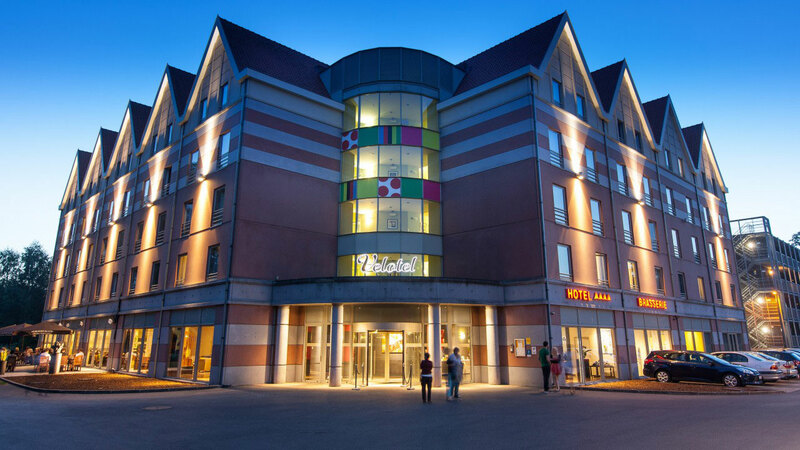 This 4 star hotel is located just outside the centre of Gent and is within easy reach from Germany, Holland and Northern France. 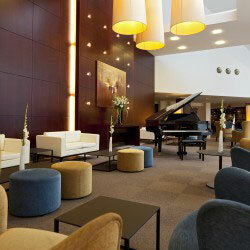 the hotel has a nice atrium, restaurant and lounge bar. 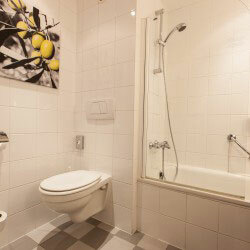 All rooms have bath/ shower and toilette, TV, telephone and minibar. 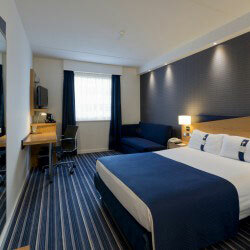 Ramada is situated only 250 metres from the sandy beach. 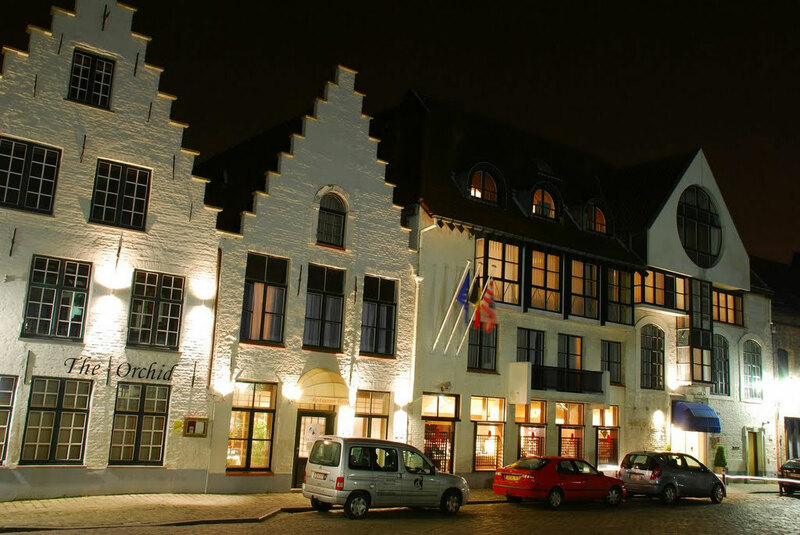 Bruges, featuring historic sights including the Belfort and Gruut Huys Museum, is only 30 minutes’ drive away. 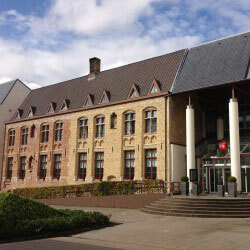 The centre of De Haan is less than 20 minutes from Ramada. 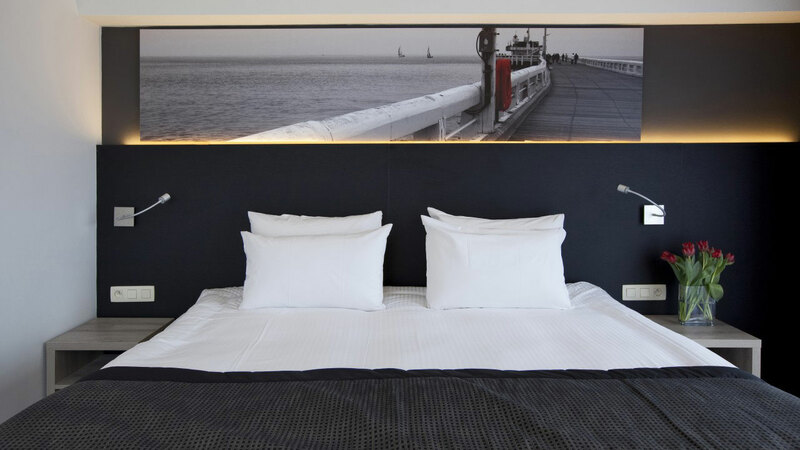 This hotel benefits from free WiFi and offers guests free entry to Casino Ostende as well as free access to external fitness facilities. 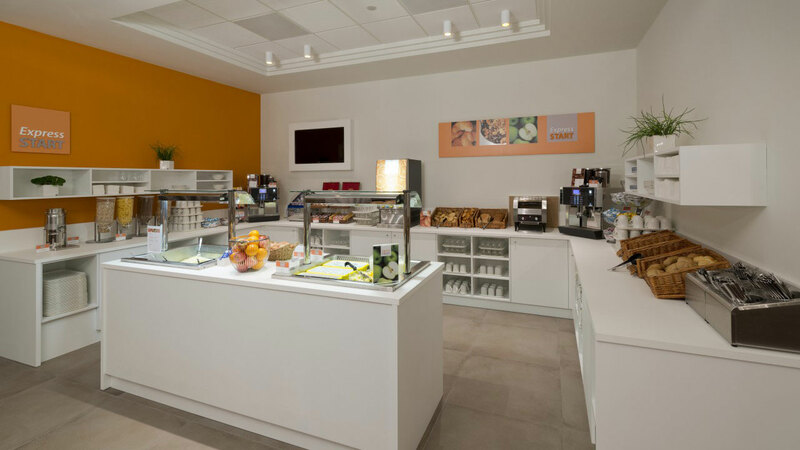 The Premtime café serves an international à-la-carte menu for lunch and dinner. 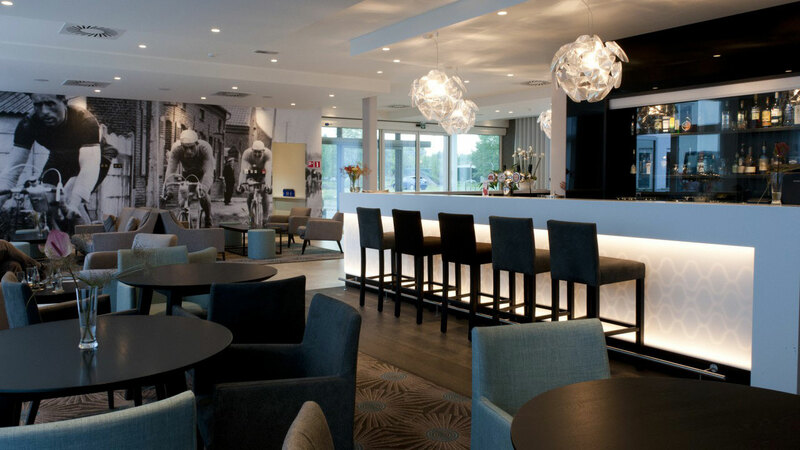 Coffee and local Belgian beers are just some of the beverages offered at Ostend Ramada’s bar. 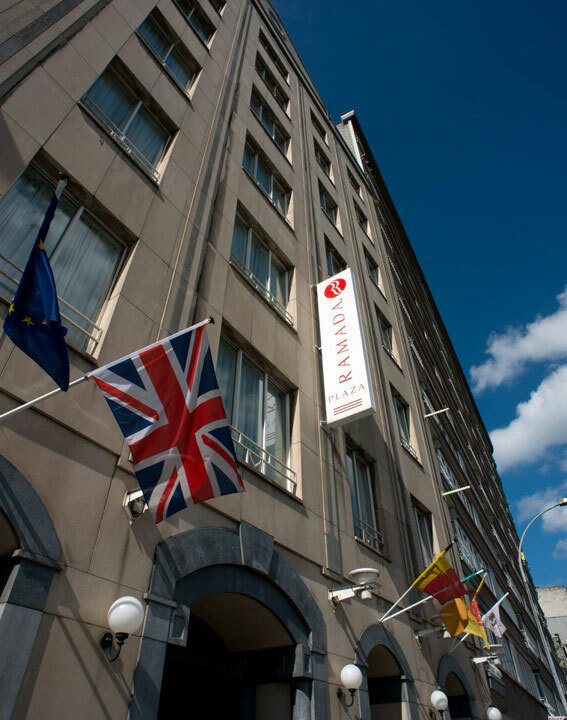 Each of the rooms at Ramada Ostend has a flat-screen TV, a work desk and tea and coffee making facilities. 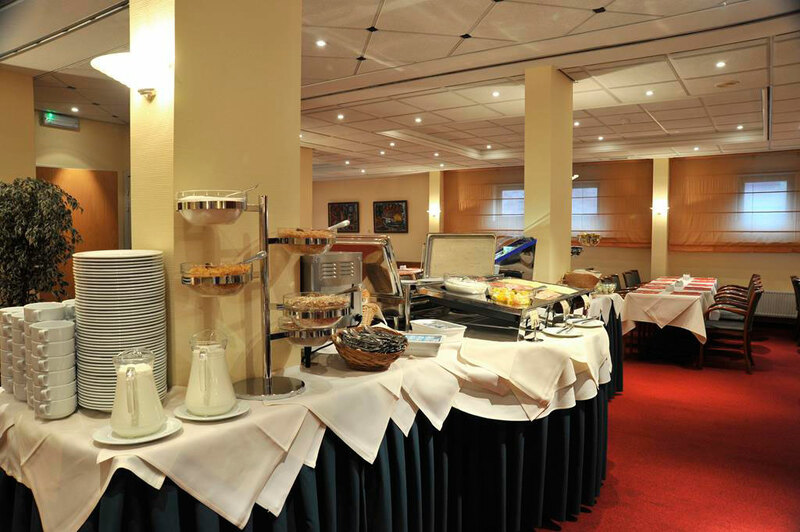 Guests can enjoy a buffet breakfast featuring hot and cold dishes including scrambled eggs and bacon. 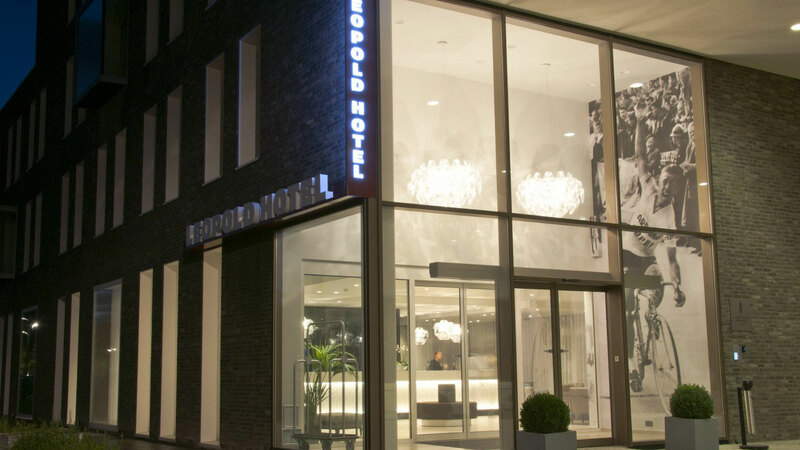 Leopold Oudenaarde is located in the city centre, a 300-metre walk from the Market Square and 1300 metres from Oudenaarde Train Station. 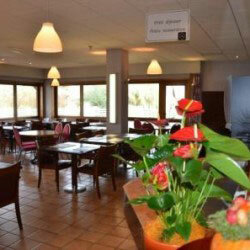 The nearest restaurants are within 500 metres from the accommodation. 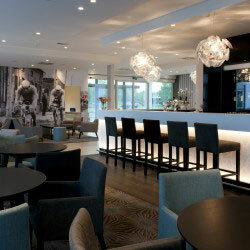 Golf & Country Club Oudenaarde is 4.5 km from the hotel. 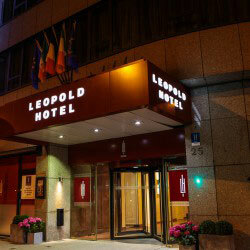 From Leopold Oudenaarde, it is 16.5 km to Waregem, 34.1 km to Kortrijk and 28.8 km to Ghent. 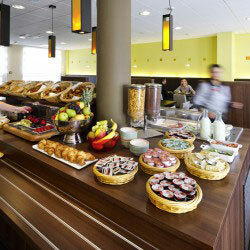 At Leopold Oudenaarde, guests can start their day with a wholesome breakfast. 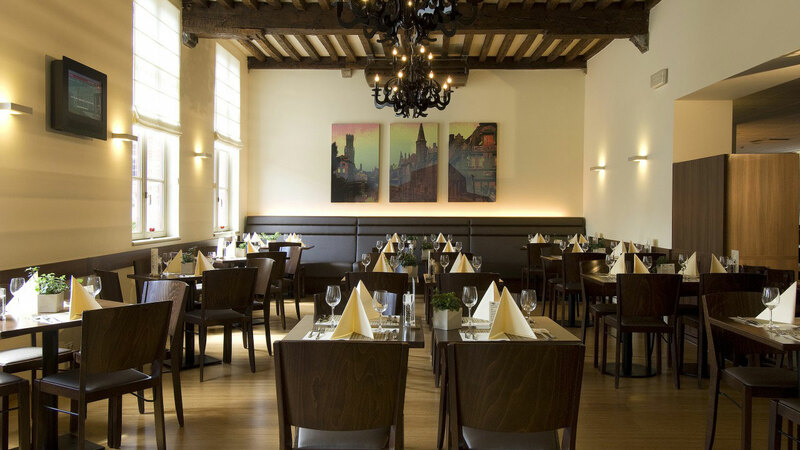 You can taste traditional meals in the à la carte restaurant or have a drink at the bar. 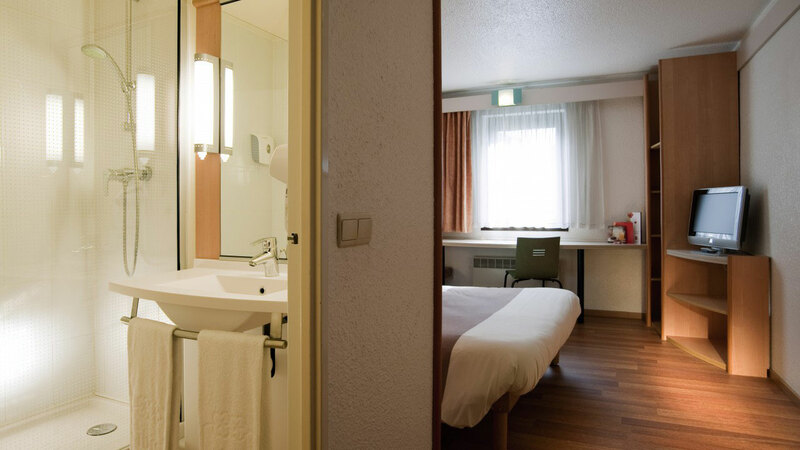 Room service is available at a cost. 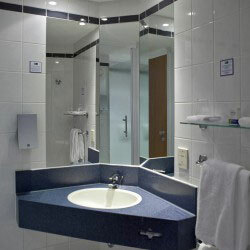 Guests can benefit from free access to wireless internet, bicycle rental services and an on-site à la carte restaurant. 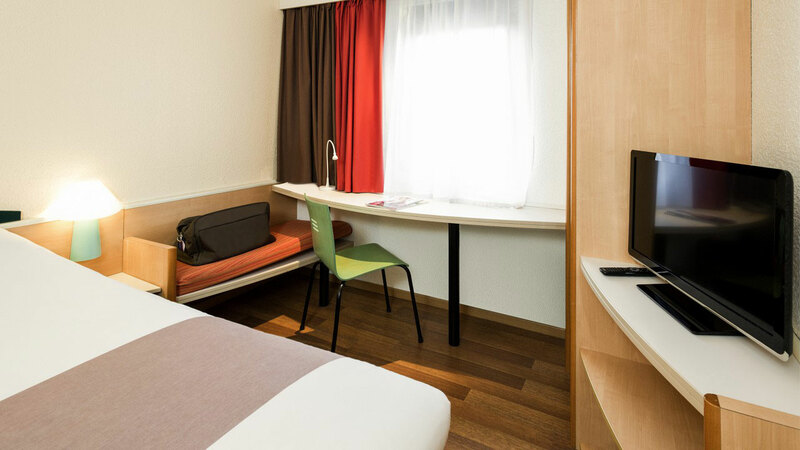 Rooms are equipped with a desk and a flat-screen TV. 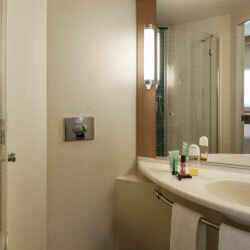 Each guest room features an en-suite bathroom with a bathrobe, a bathtub, a shower and a hairdryer. 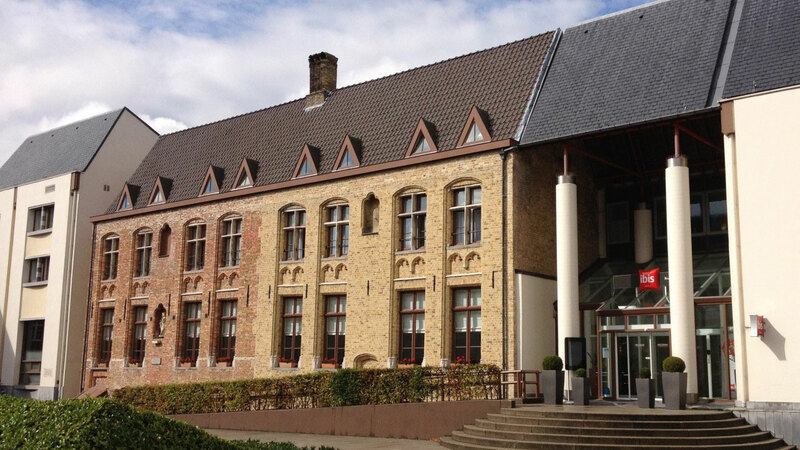 Looking over the wonderful River Meuse and situated in a renovated seventeenth-century convent, this classic hotel offers a quality accommodation near the historical heart of Liège. 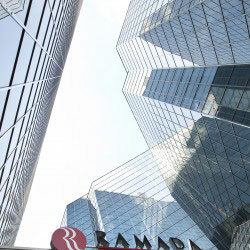 The Ramada Plaza Liège City offers comfortable rooms, parking space and a location easily accessible by highways. 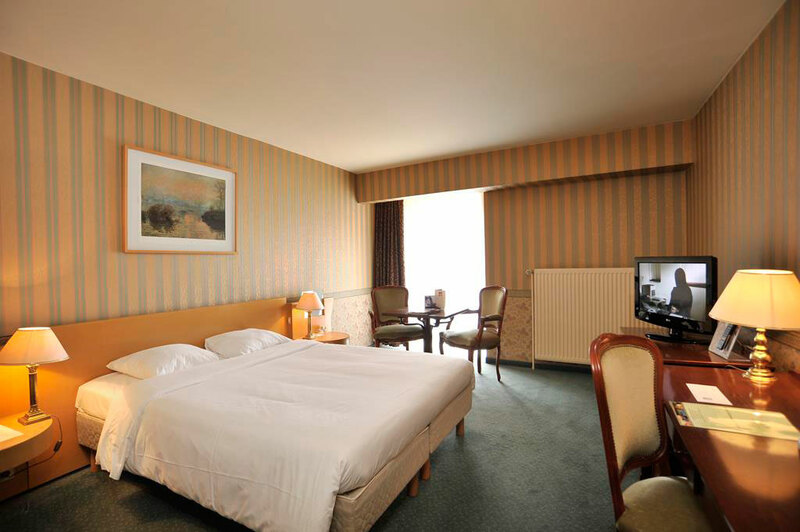 Located just a few minutes from the airport of Liege, the university and the industrial parks of Herstal, Vise, Angleur and Sart Tilman. 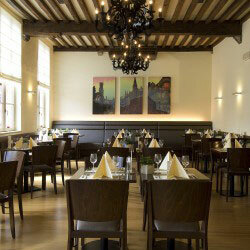 The refined restaurant is located on the seventeenth century building, where the monastery was located. 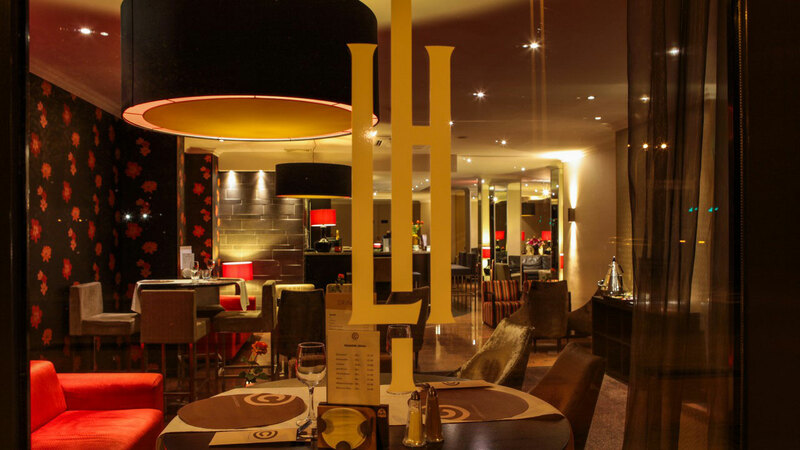 Enjoy the superb cuisine of this unique contemporary and turn your dinner into an unforgettable experience. 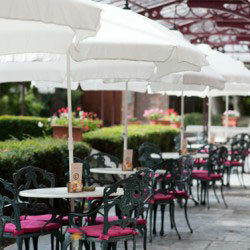 If time allows, the wonderful terrace offers a great place to sit and admire the garden. 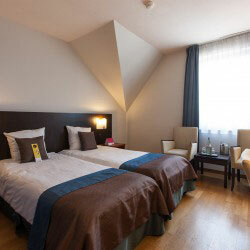 You can easily reach the old town with its tourist attractions and shopping districts, on foot or by public transport. 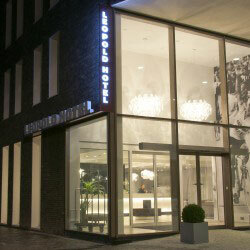 Located in the city center of Hasselt. 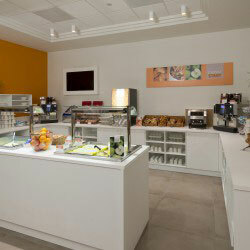 Every morning a breakfast is served in the Great room. 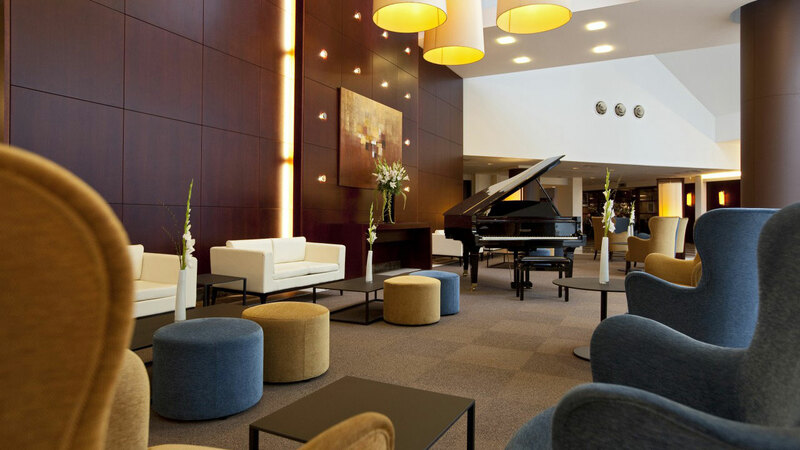 The Great room, the central part of the hotel, is linked with the bar. 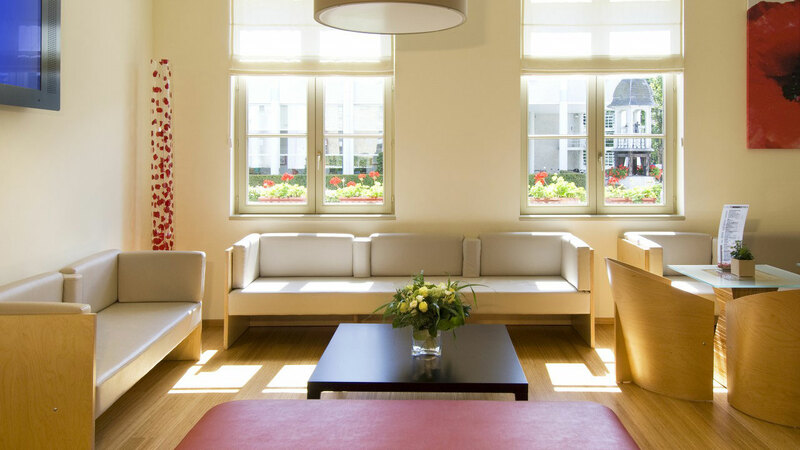 In the Great room there is a large screen television and a reading corner with national and international newspapers and magazines. 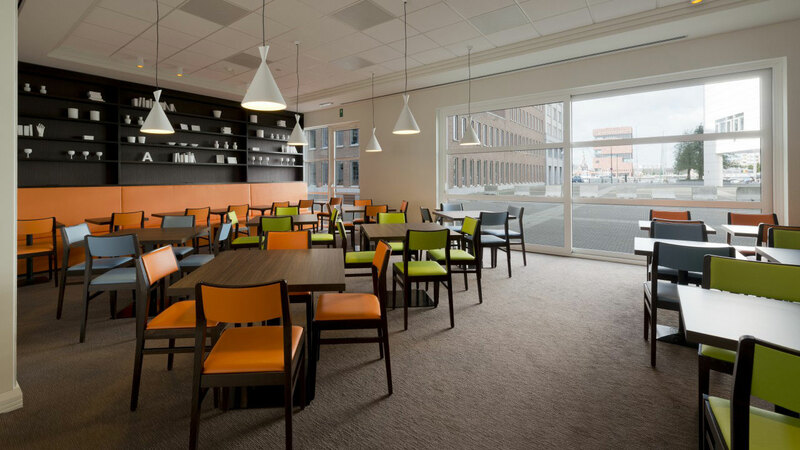 Professional meeting facilities are available. 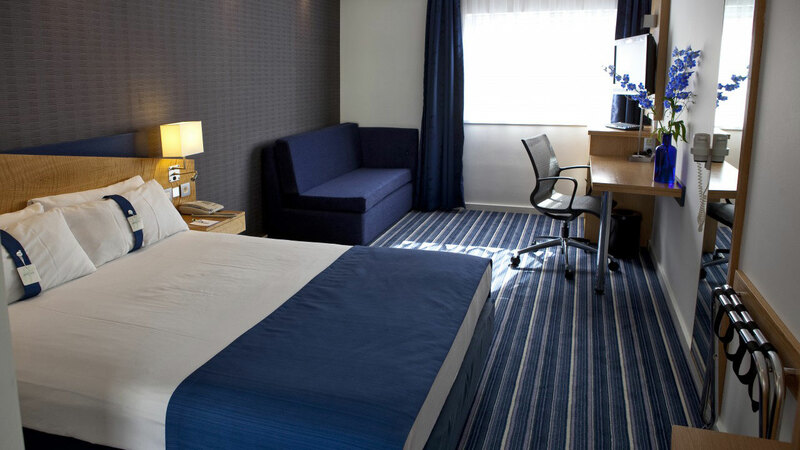 The hotel has 89 comfortable rooms, suited for a workspace with computer connection, voice mail and in house movie system. 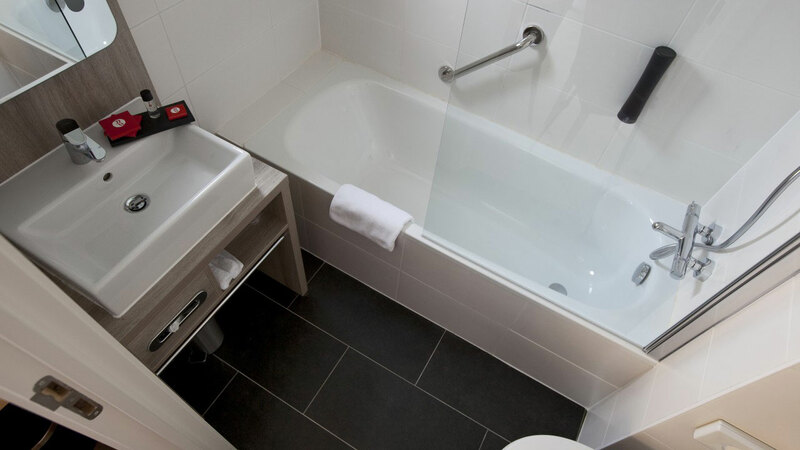 All rooms have en-suite bathrooms with a toilet, super shower and a hairdryer. 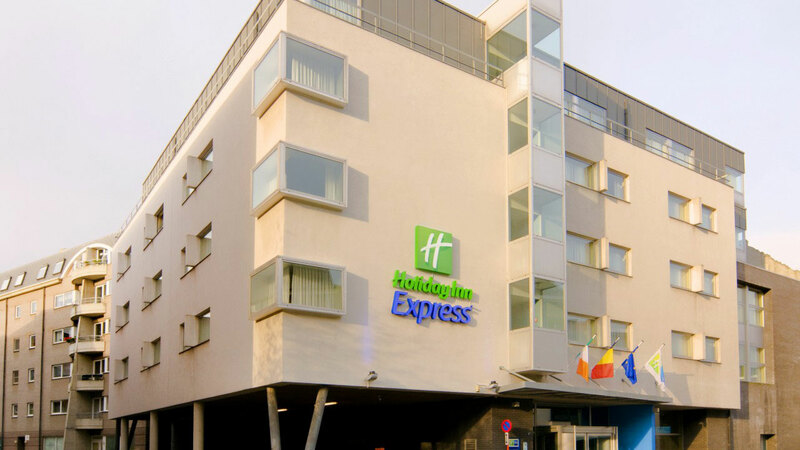 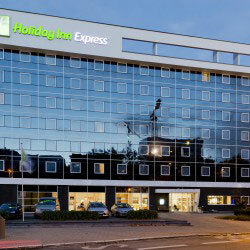 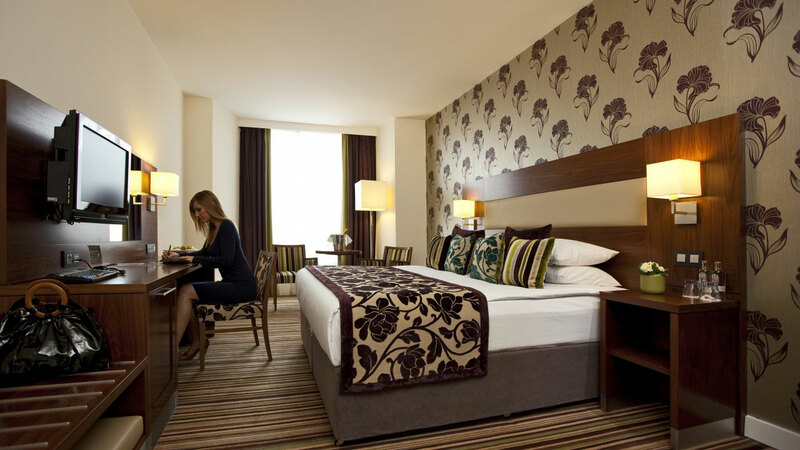 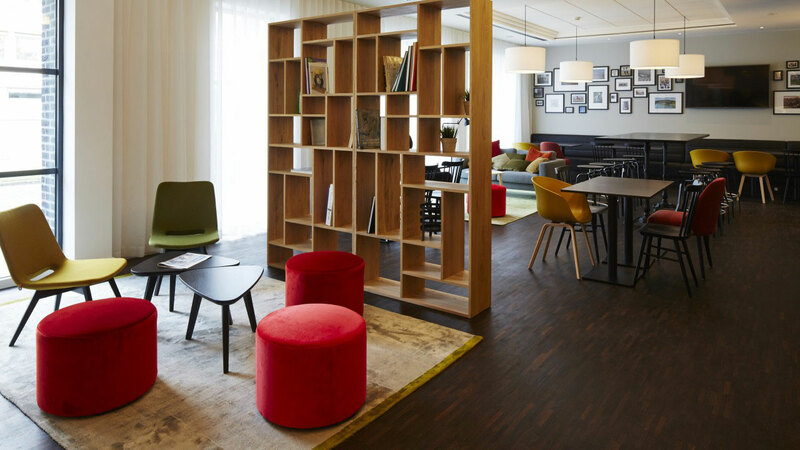 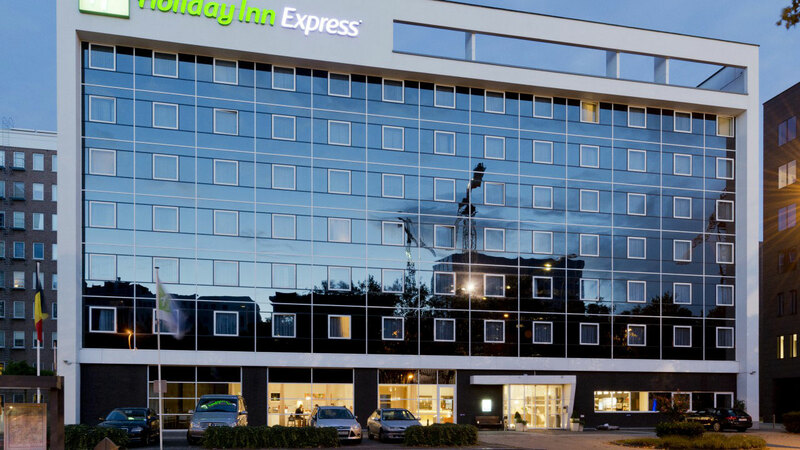 The Express by Holiday Inn Mechelen is located in the city centre of Mechelen. 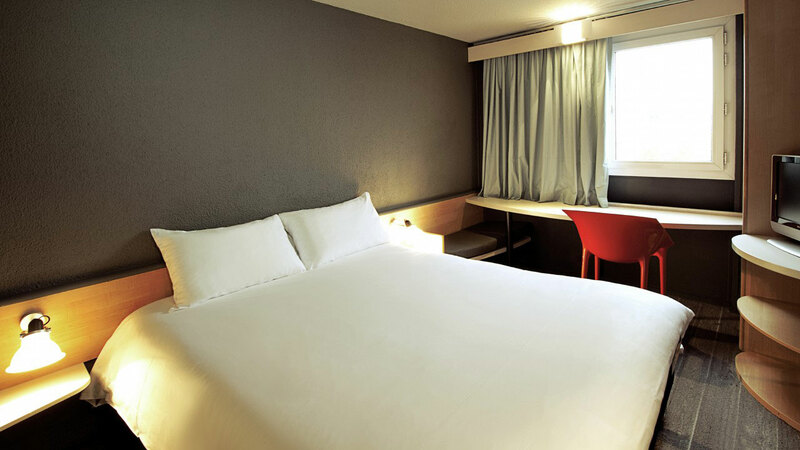 The hotel has 69 comfortable bedrooms, equipped with work area, computer connection facilities, voice mail and an in-house movie system. 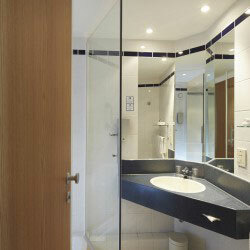 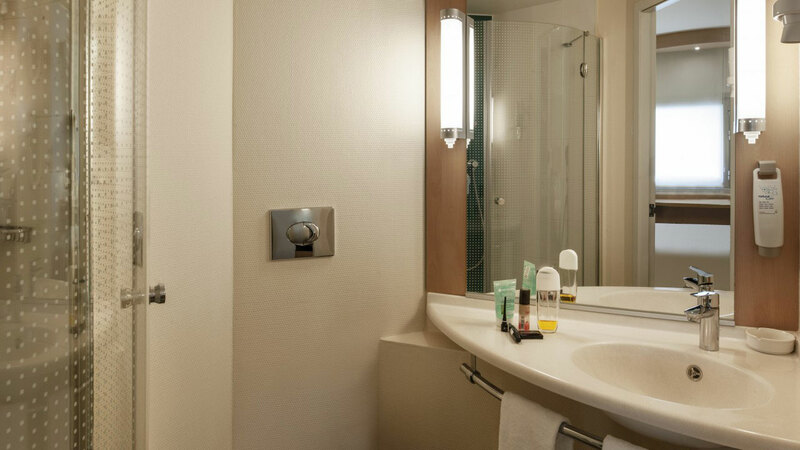 All rooms have en-suite bathrooms with toilet, power-shower and hairdryer. 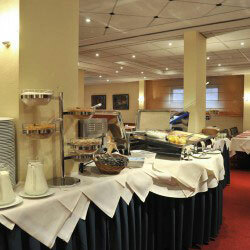 Every morning breakfast is served in the Great Room, which is the central part of the hotel. 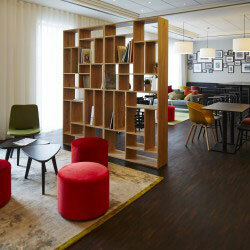 In the Great Room there is a large screen television and a reading corner with International newspapers and magazines. 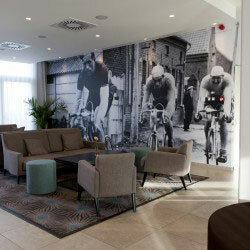 Professional meeting facilities are available up to 20 delegates. 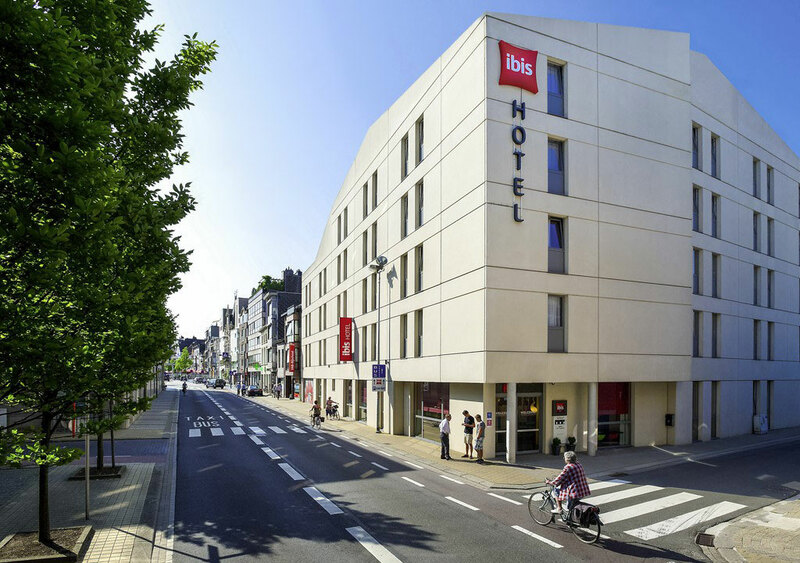 Just outside the town centre, the ibis Aalst Centrum offers practical, neat guest rooms, private parking and great transport links via the main motorway (Calais – Ostend – Brussels). 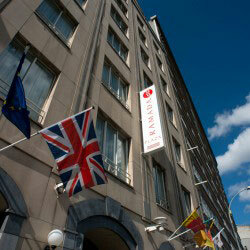 Brussels is 20 minutes’ drive away. 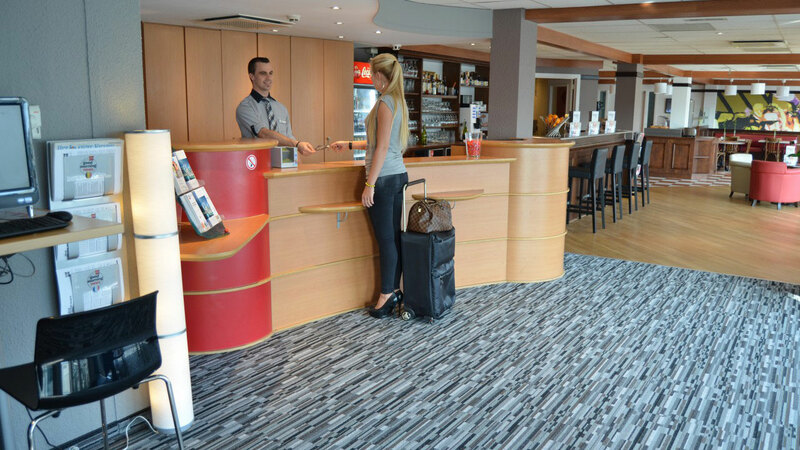 With excellent, 24-hour service, you will always be able to ask for assistance at the reception or have a snack and a drink in the cosy bar. 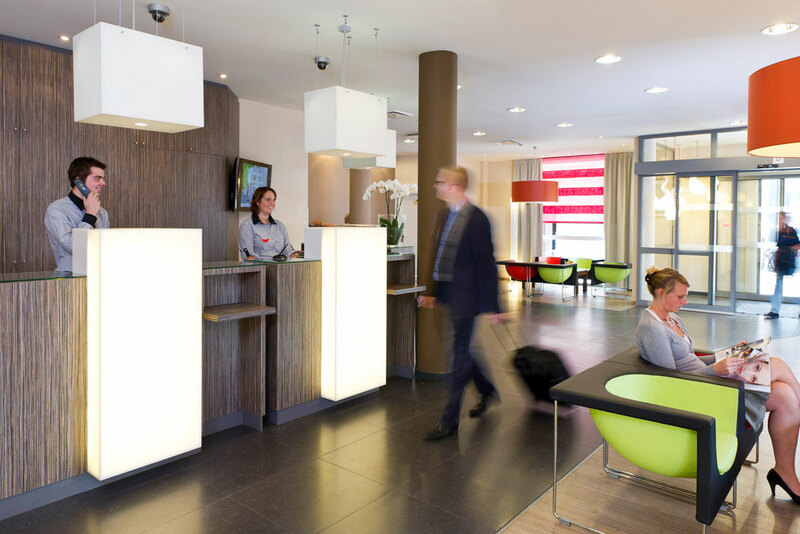 You can make use of the free Wi-Fi internet connection. 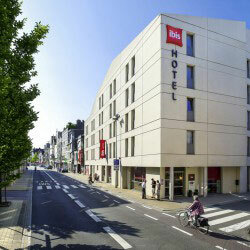 You can easily reach the commercial and cultural heart of Aalst. 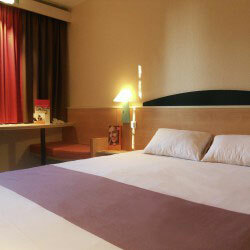 The hotel also offers a good base for visiting Ghent, one of the most beautiful cities of Belgium. 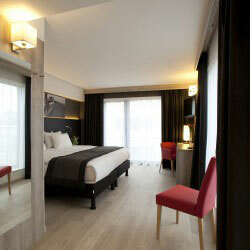 This 3-star hotel provides you with modern and luxurious guest rooms in this charming city, not far from Antwerp. 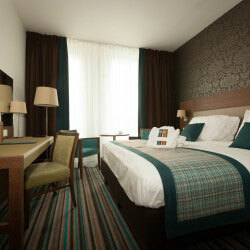 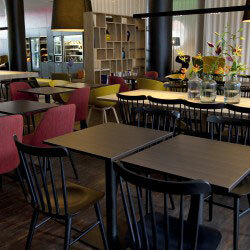 The ibis Sint Niklaas Centrum is a stylish hotel next to the historical heart of town with the main market square. 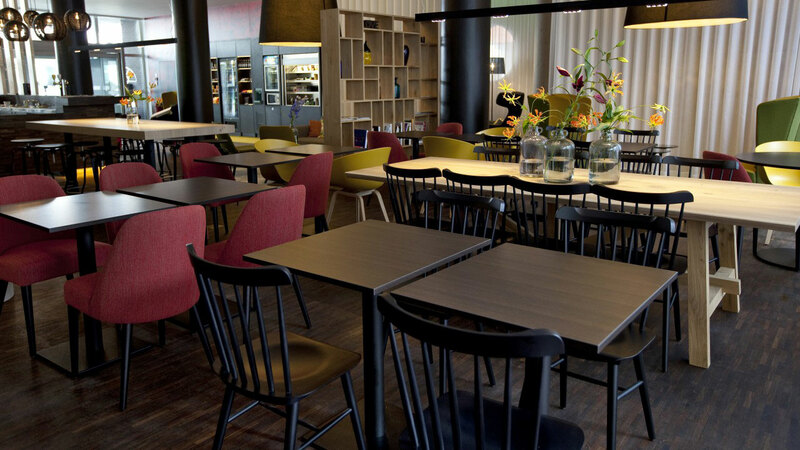 Enjoy the hotel’s trendy 24-hour bar and free Wi-Fi and ADSL connections. 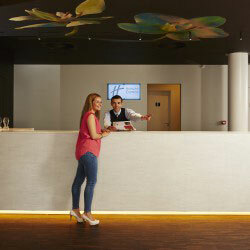 Guests can make use of a computer with free internet access in the hotel lobby. 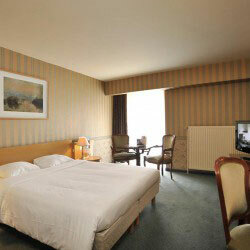 The tastefully decorated rooms are provided with air conditioning and flat-screen TV. 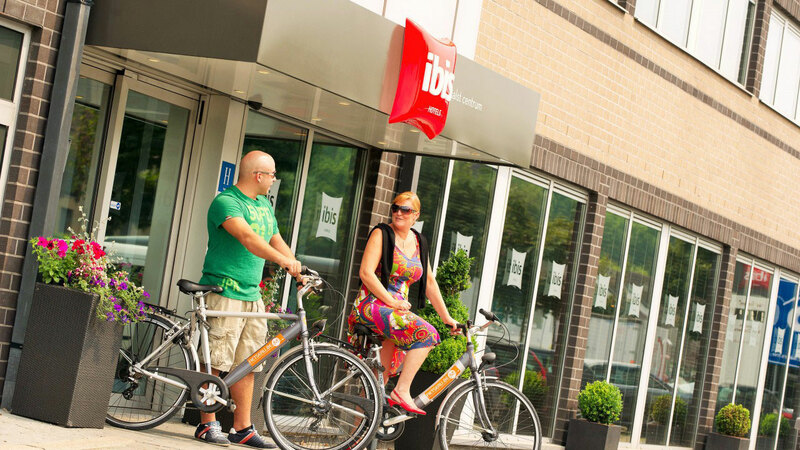 Ibis Wavre is ideally located for families with children, business people, golfers, and tourists in the heart of Walloon Brabant with only a 20 minutes drive to Brussels. 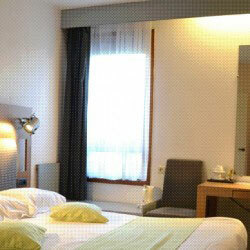 In the green landscape, at a walking distance from the center of town, all the services are nearby. 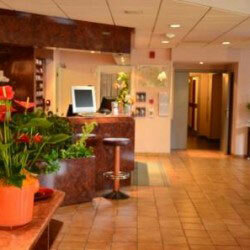 The hotel is easily accessible from a main highway (E411) offering a spacious private parking area. 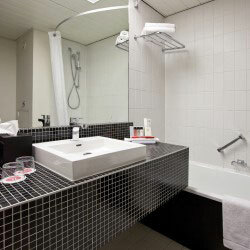 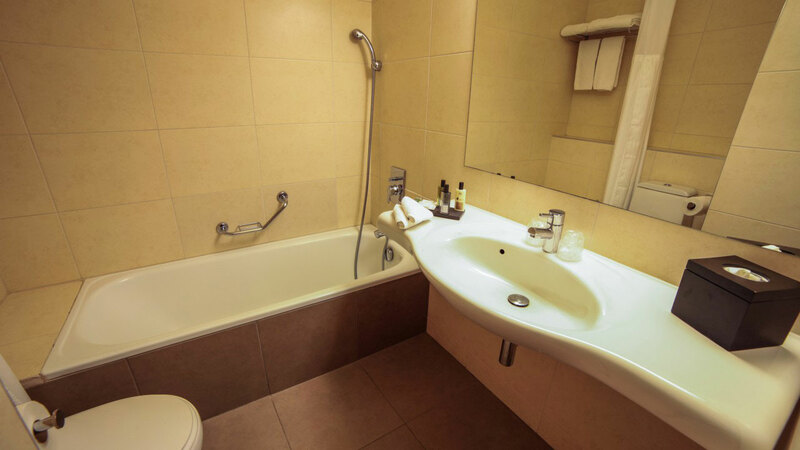 The hotel offers you a variety of 72 rooms for individual needs with shower, WC, satellite TV and telephone. 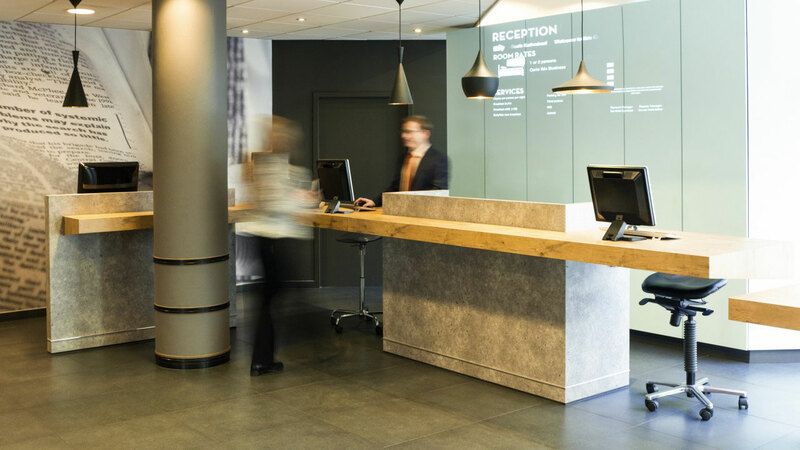 The reception stays at your disposal round the clock. 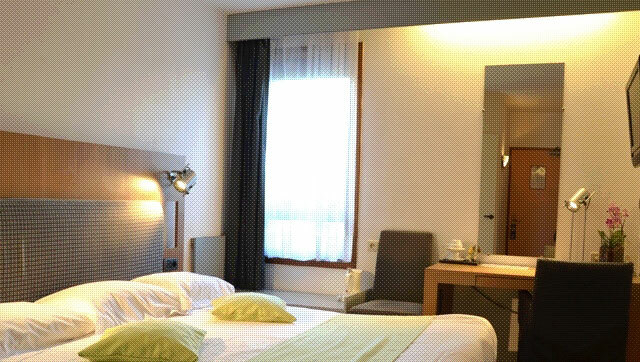 You find here all you could need : iron, hair dryer and also ideas for excursions or different information to spend a perfect time in the Wavre Hotel. 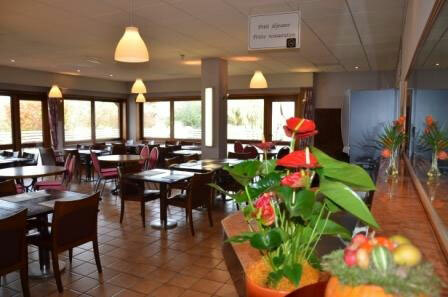 The restaurant «Au plaisir d’y être» is the perfect place to organize your events (max. 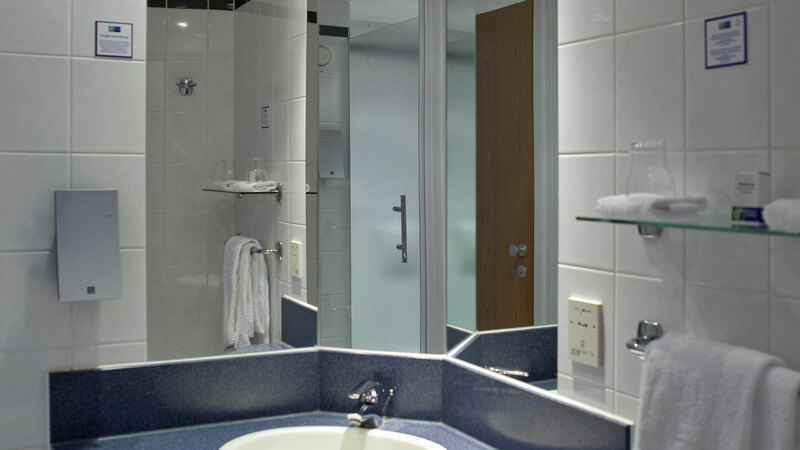 140 persons). 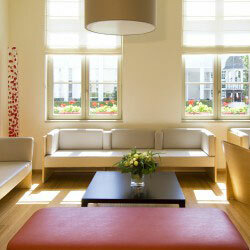 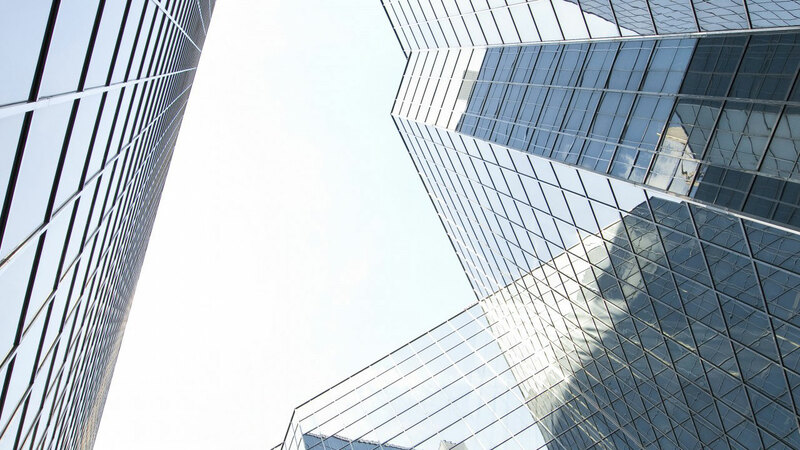 We can propose you different offers according to your wishes and budget.